The featured tractor of the 19th Annual Tractor Festival is the 1949 Oliver 77. 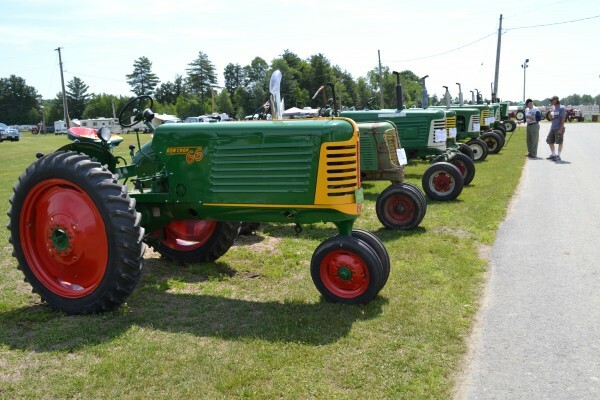 A line of Oliver tractors greeted visitors to the event held at the Farmington Fairgrounds. FARMINGTON - While the featured tractor of the 19th Annual Tractor Festival is the 1949 Oliver 77, there were plenty of other competitors on display, along with pulling and other events that kept attendees happy. 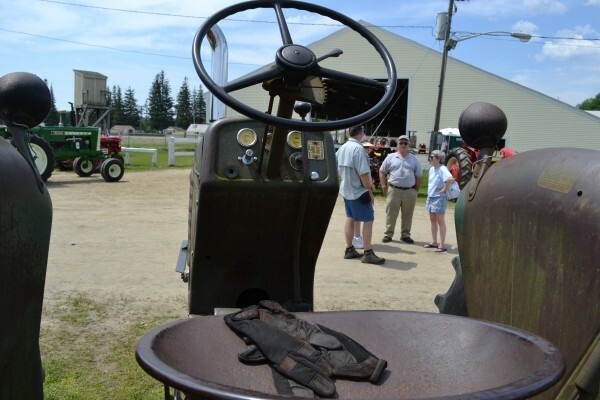 The event, sponsored by the Maine Antique Tractor Club, is going on at the Farmington Fairgrounds through Sunday. 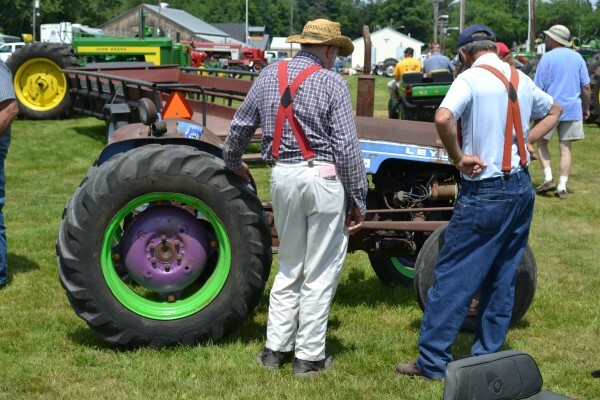 The festival offers a full schedule of progressive drag competitions for large tractors, lawn tractors and even pedal tractors, along with tractor games through the day. Carol Coles of Starks prepares to toss the skillet at the 19th Annual Tractor Festival held at the Farmington Fairgrounds through Sunday. Her longest toss was 18 feet, 2 inches. Each day of the event starts off with the daily pancake breakfast hosted by the Maine Maple Producers at the Sugar House on the grounds, from 7 a.m. to 10 a.m. Ongoing events include equipment demos, such as the rock crusher, wood splitter and a shingle mill. Contests and prizes in photography and pie baking will be judged on Sunday afternoon. Pie entries can still be dropped off on Sunday from 8 a.m. to 1 p.m. in the Starbird Building, across from the pulling ring. 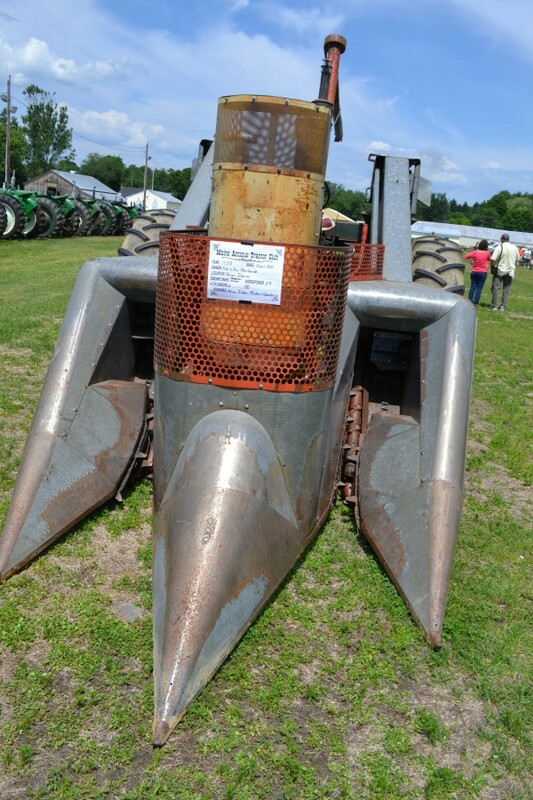 Photos will be judged at noon and pies at 2 p.m.
A 1958 Oliver picker and sheller is on display at the Tractor Festival. The 59 horsepower, 6 cylinder antique is owned by Mike and Kim Fairbanks of New Sharon. A fire extinguisher is kept handy near the operator's seat up top. A parade of tractors showed their stuff in the pulling ring as a band played in the Beano building on Saturday. Several food and craft booths are available between the events. A skillet toss and hammer throw was a well-attended event. 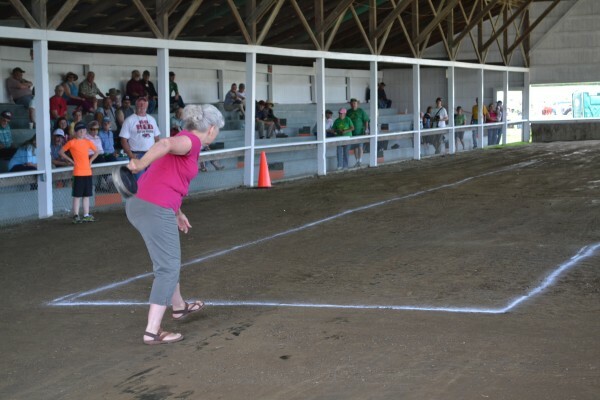 Carol Coles of Starks, gave the skillet the big wind up and had a great follow through for a 18-foot, 2-inch long toss. "Practicing tossing would have helped," she said. The final events at 3 p.m. Sunday, will be an auction of the award-winning pies and a tractor in the pulling ring. Proceeds from the auction go to scholarships and educational programs. A pair of worn gloves sit on the seat of an antique tractor at the 19th Annual Tractor Festival held at the Farmington Fairgrounds through Sunday. A 1960's British-made Leyland tractor gets an appreciative look by attendees to the Tractor Festival on Saturday. The folke who built and rode these old tractors are the ones who built this country. Both man and machine deserve our respect and gratitude. I love the old tractors.As kid born 1952 I remember some of these as I was born a farm boy. (For Hire) than. Yes, We were hired out to make money for the family when(money) times were lean. Great moments. I love this. My roots are Maine farmers. I remember riding the horse to pull the hay fork up in the mow, a tractor added a new dimension to the family farm. Very nostalgic. I learned to drive on a John Deere B and other smaller tractors.